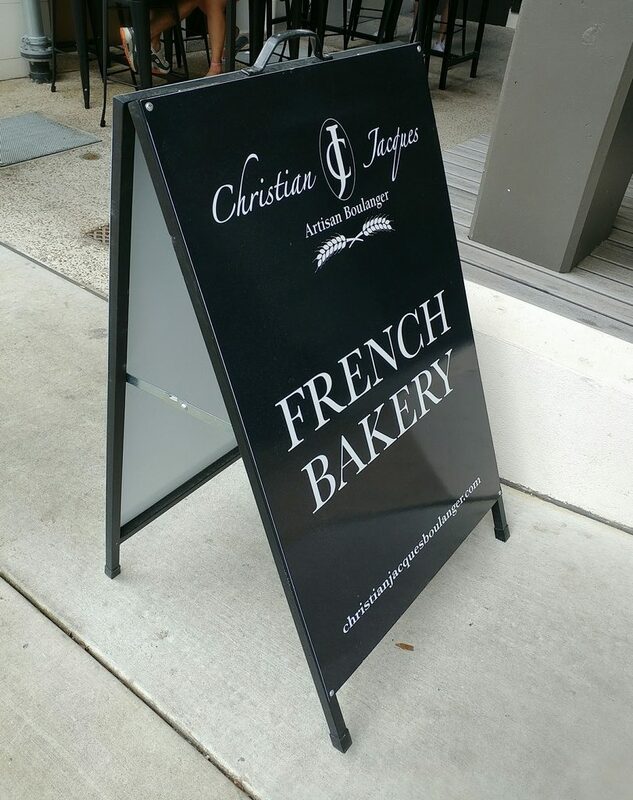 Christian Jacques Artisan Boulanger has somehow managed to exist, tucked away in Kangaroo Point under the Story Bridge for many months, without us knowing about them. That was, until, inspired by croissants someone brought back from Lune, we started looking for local pastries that might tide us over until we could next get there. The storefront, there with not too much fanfare. 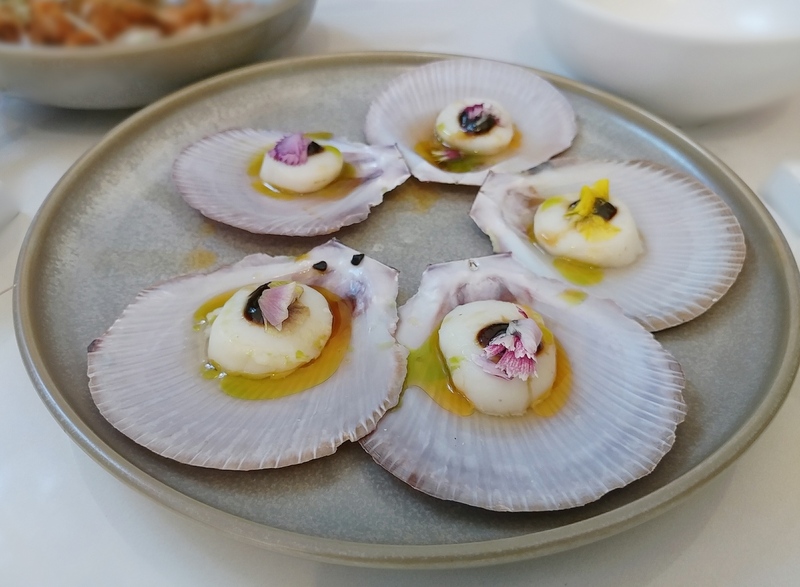 Located, as mentioned, it is on the ground floor of a building in the shadow of the Story Bridge, across from the Story Bridge Hotel. 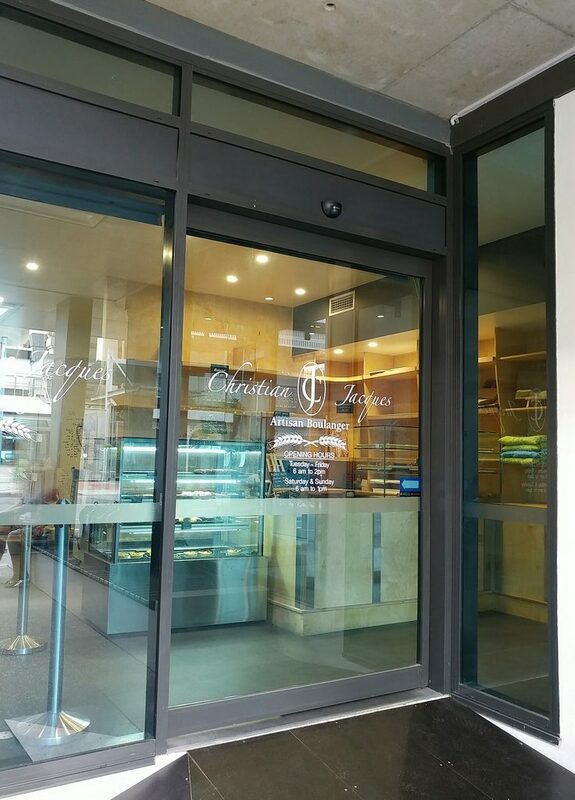 An A-frame sign on the sidewalk indicates where it is, which is a good thing, because without that, you might not have a clue that the bakery was there. The A-frame sign that indicates that the bakery is close by. As we walked through the glass doors in the middle of a weekend morning, we found ourselves faced with mostly bare shelves. Clearly one has to get in early to get the goods. Fortunately, there were some items left, in particular the key items we were after; croissants. The shelves were quite empty.. 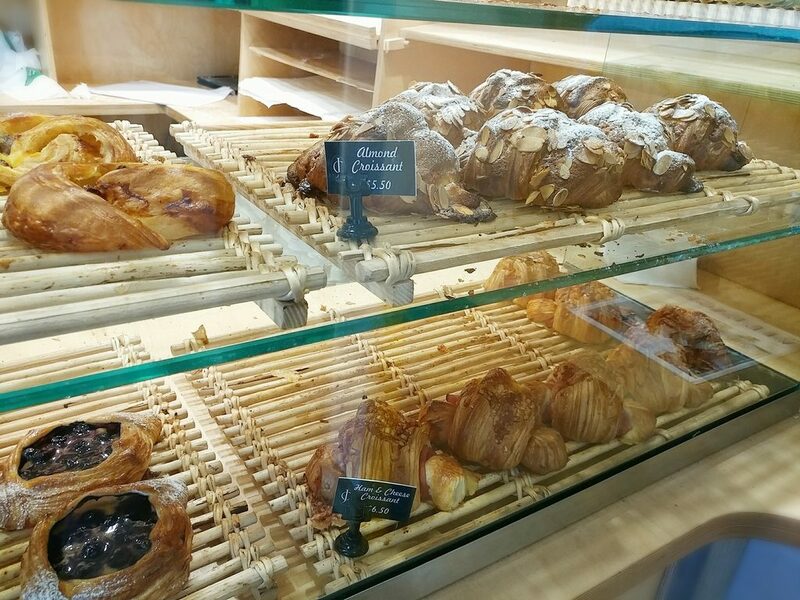 If you do arrive soon enough, you should find yourself able to get an assortment of breads (baguettes, batards, and other loaves), croissants with different fillings, and tarts and eclairs. On top of the cabinet was also a tray of kouign-amanns, which we had encountered before at Dominique Ansel. Tempting as they were though, we opted to stick to our original plan, knowing we had to leave room for brunch afterwards. 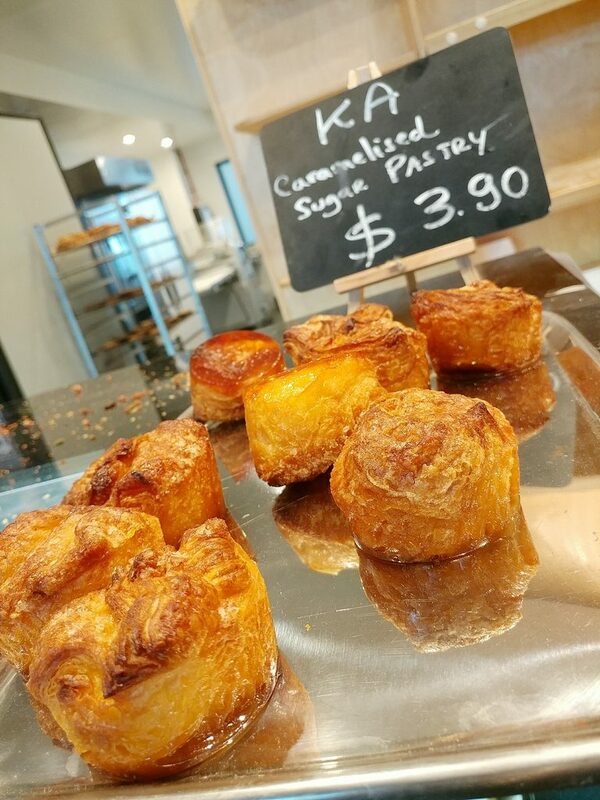 The kouign-amanns, glazed and tempting. 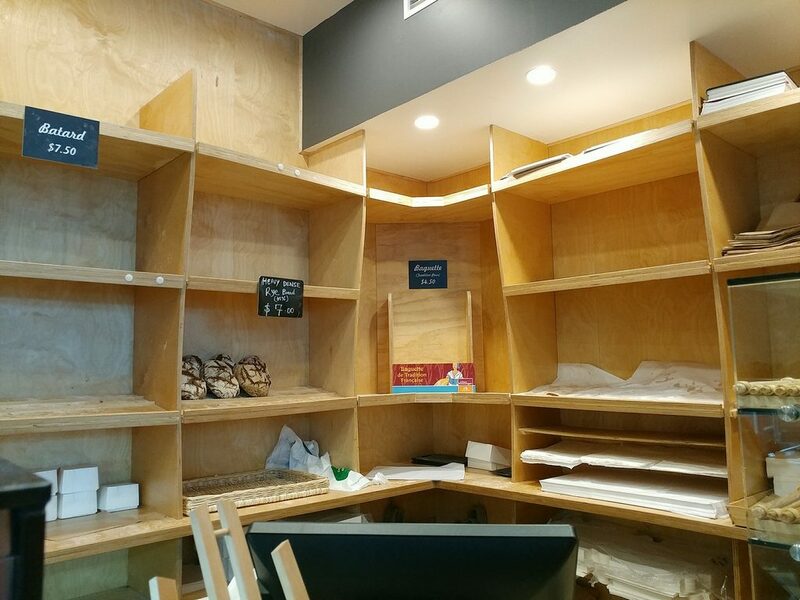 We bought almond croissants, a ham and cheese croissant, a mixed berry tart, and one of the last batards in the store. Fortunately, there were still some goodies left. And a few other things available to get. Set up mostly as a takeaway, there is limited seating for patrons who do want to tuck into their pastries while they are as fresh as possible. 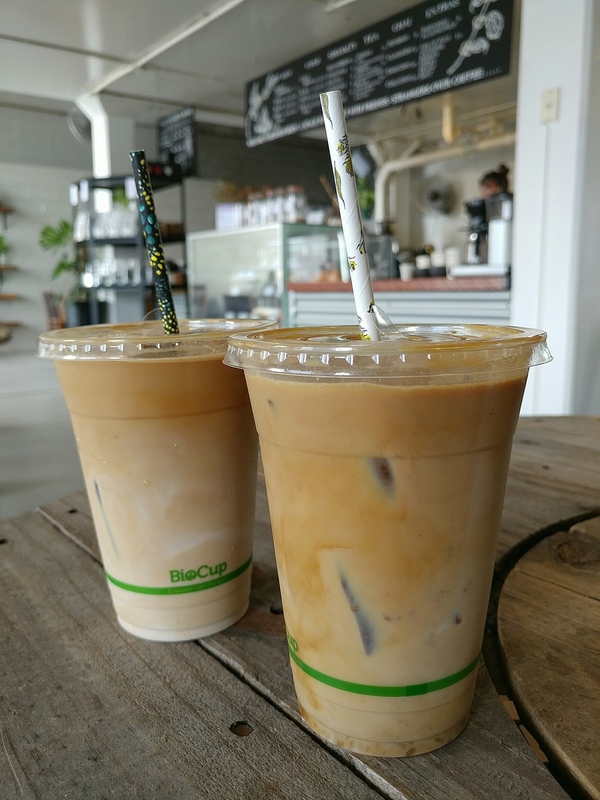 Just outside the bakery are a couple of tall bar-height tables and chairs. The rest of the building above provides some shelter from the elements. It is simple, but adequate for the purpose. We had to be some of those eat-it-now patrons, of course. 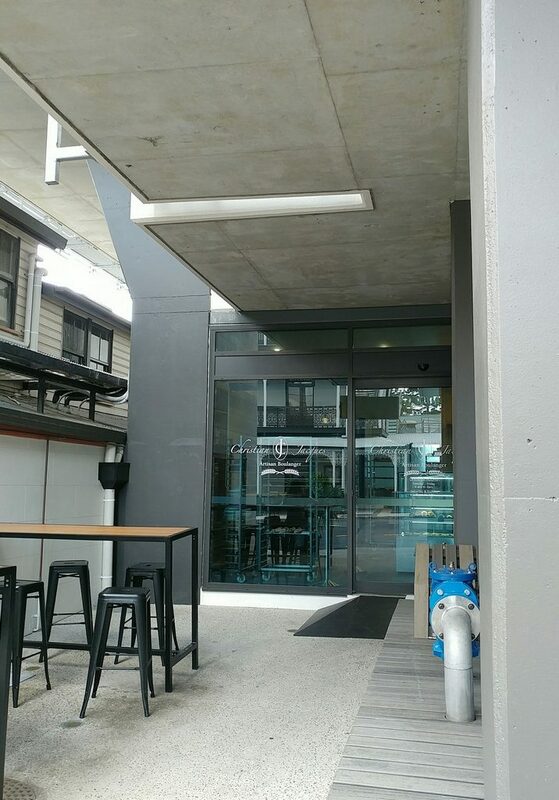 The outside seating and the little walkway to the bakery. 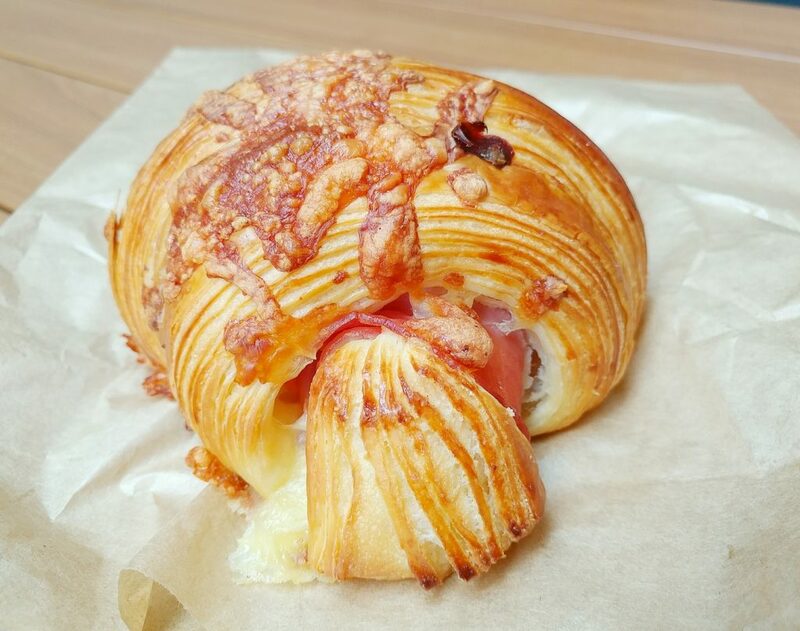 The ham and cheese croissant certainly looked the part, with visible lamellations, a golden brown outside, glossy where there was egg wash and melted cheese on top, and curls of ham poking out of the ends. 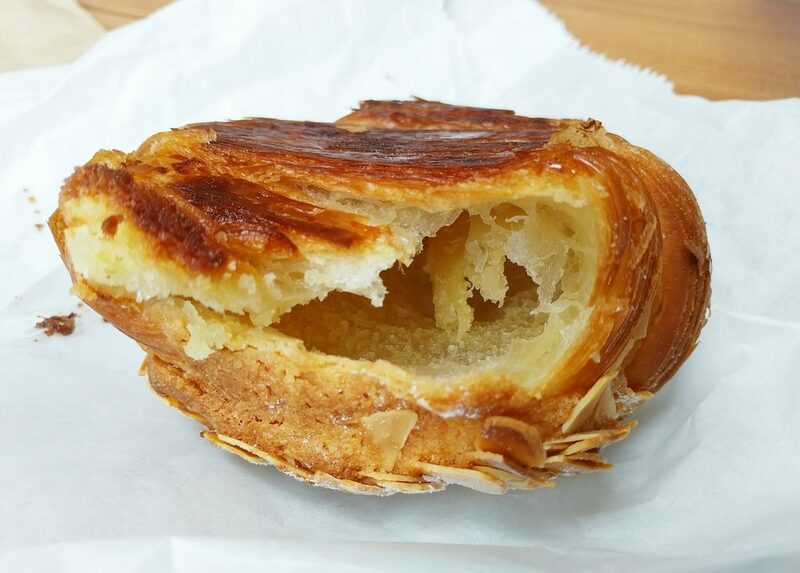 On eating though, the pastry was more soft tear than crisp crunch, except for the ends. The ham in the middle was not too salty, and not overcooked. 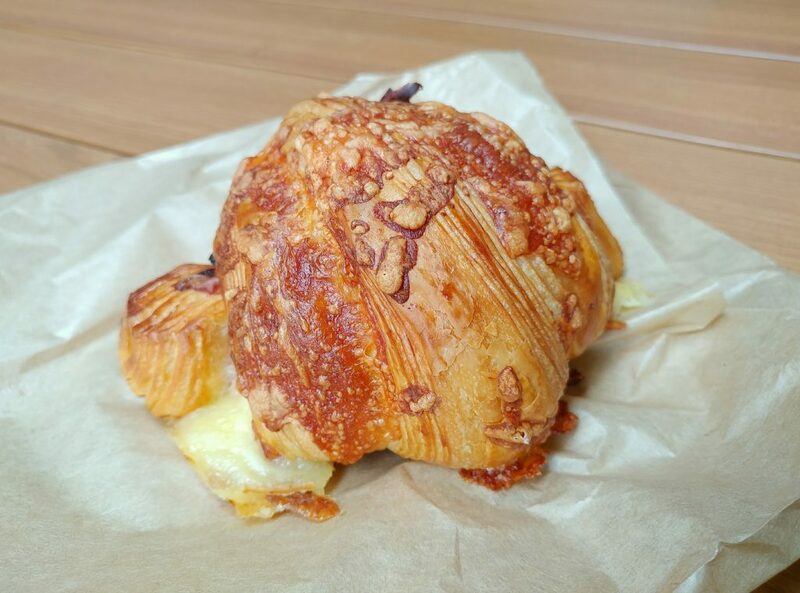 Perhaps the better thing to do with this croissant, if we hadn’t been quite so impatient, would have been to take it back and heat it so that the cheese in the centre was soft and gooey, rather than the chewy texture that room temperature once-melted cheese takes on. That would probably also have made at least the outer layers crunchier. 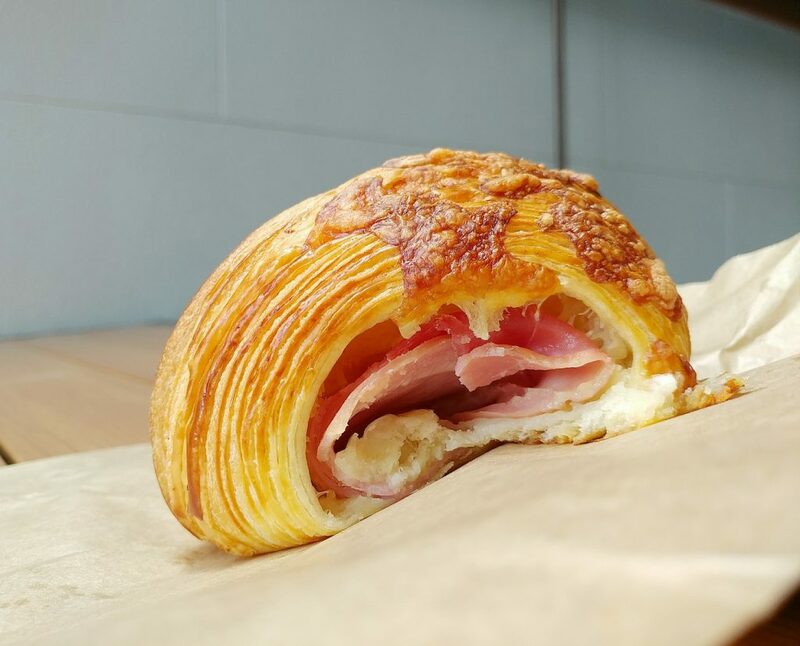 The ham and cheese croissant. 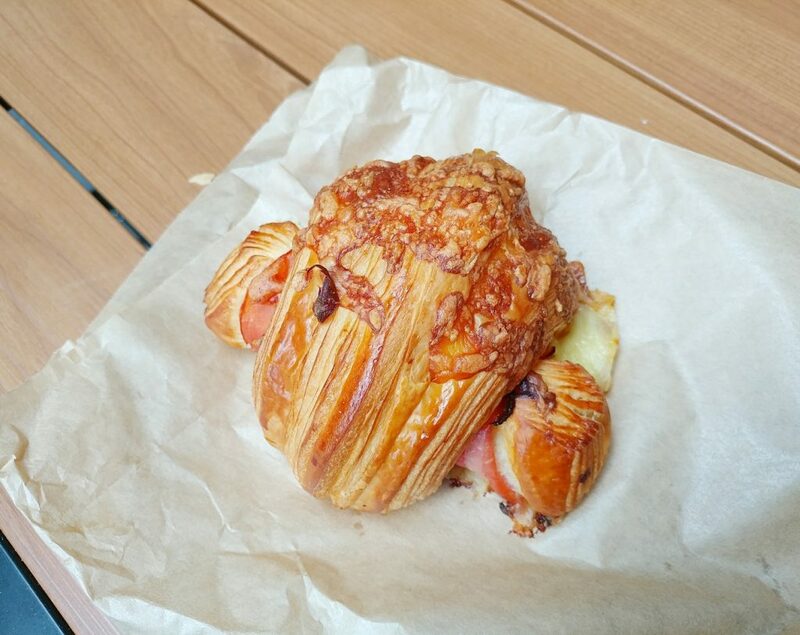 The croissant, closer up. That is some baked on cheese. 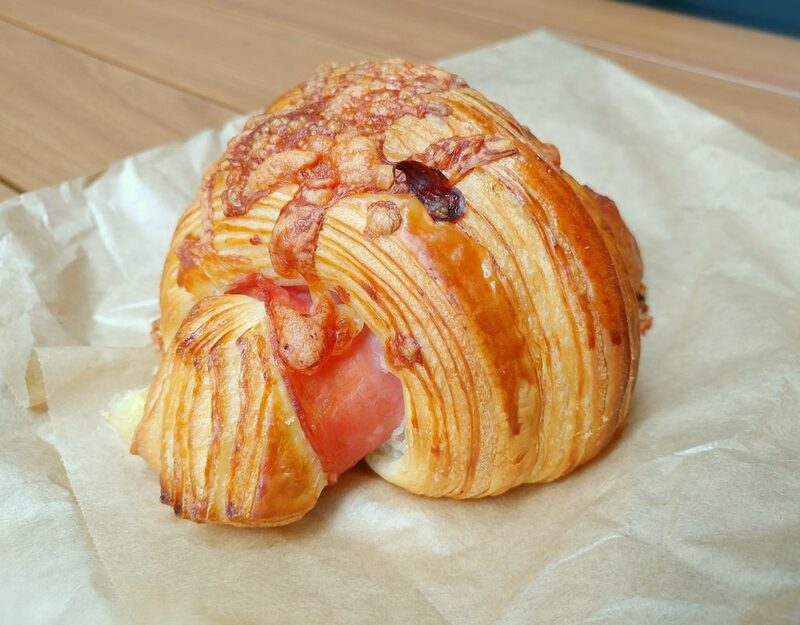 The croissant from the other side, ham peeking out between the folds. One of the crisper parts of the croissant, pastry layers nicely seen. The croissant after we’d begun eating, with many layers shown. 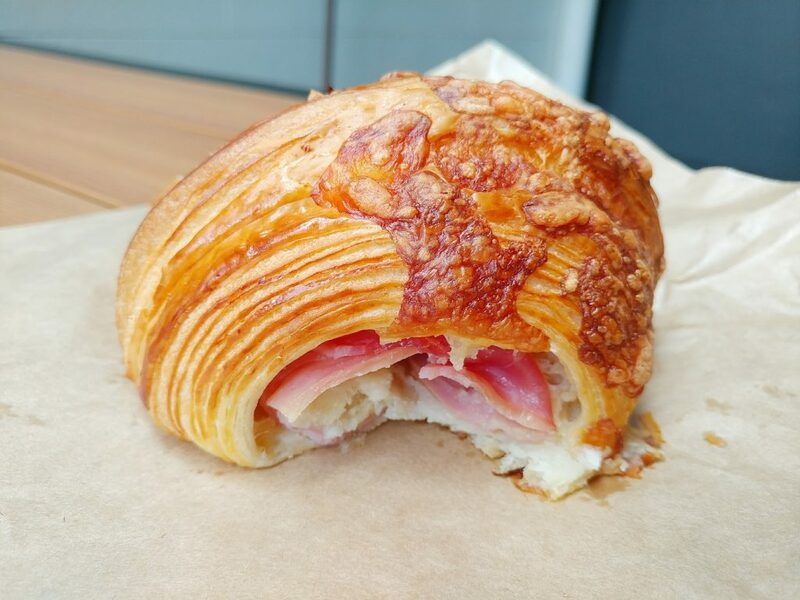 And a view of what’s actually inside the ham and cheese croissant. The almond croissants were better, though they didn’t look quite as pretty. They were still warm, having come out of the oven not long before we bought them. These retained flakiness and crispness to more of their layers, though again, it was more so at the ends and less so towards the middle. The almond frangipane in the centre was fragrant, and not too sweet. The frangipane on top of the croissant, studded with sliced almonds, and where it had leaked out from the ends of the croissant, had a biscuity crunch. 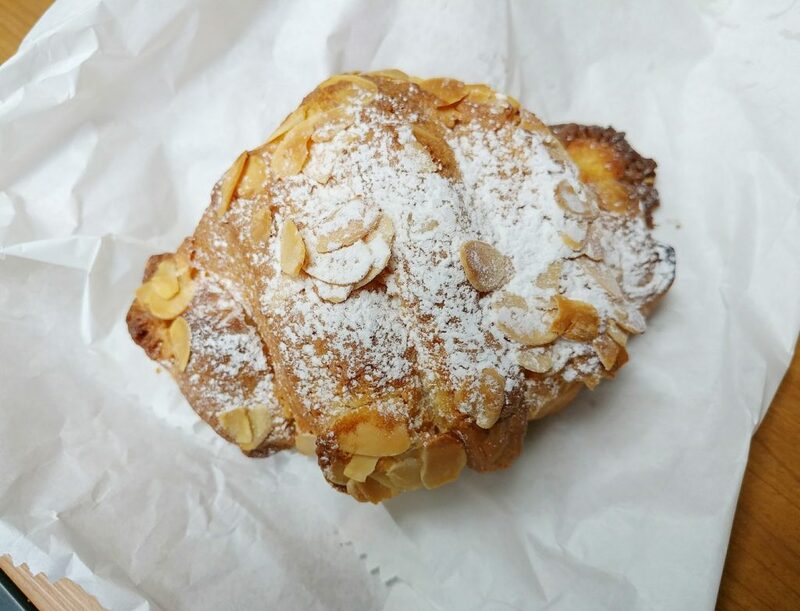 An eagle’s eye view of the almond croissant. The croissant as you would see it before you ate it. 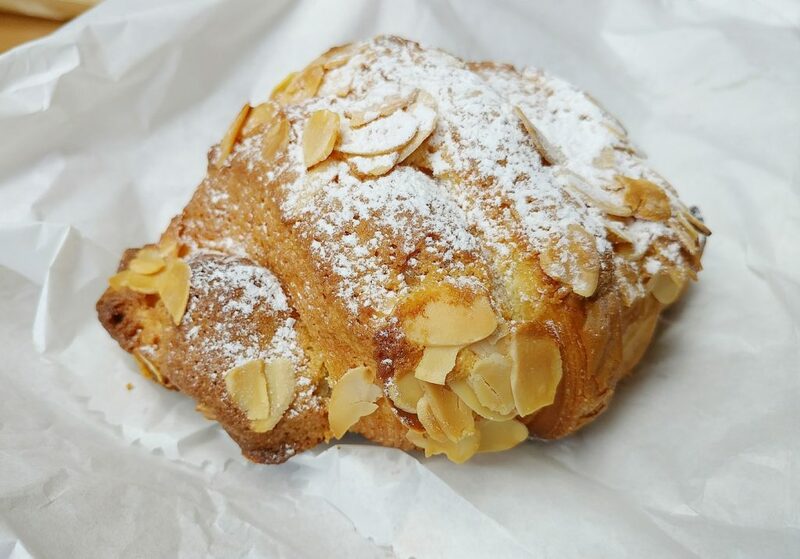 The other side of the almond croissant. You can see some of the layering, and almond filling spilling out. 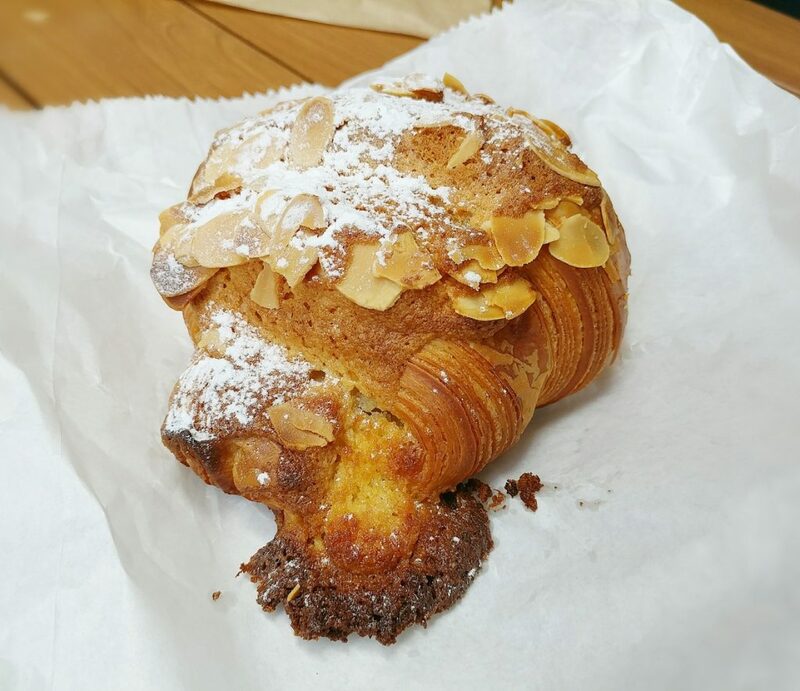 The almond croissant from another angle, with the layers showing better. 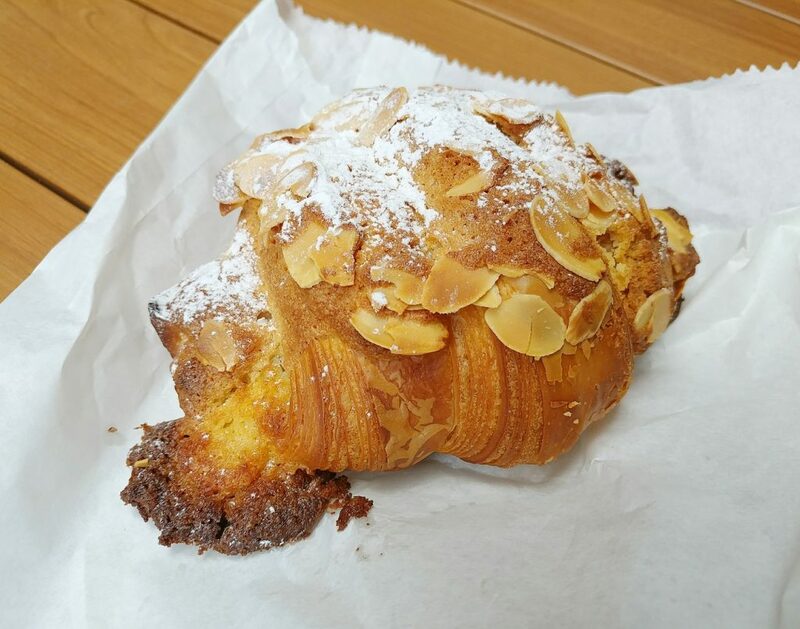 A bit of a glimpse of what is inside the almond croissant. The mixed berry tart was had later in the day. The almond frangipane that made up most of the tart body was moist, soft, fragrant, and sweet. 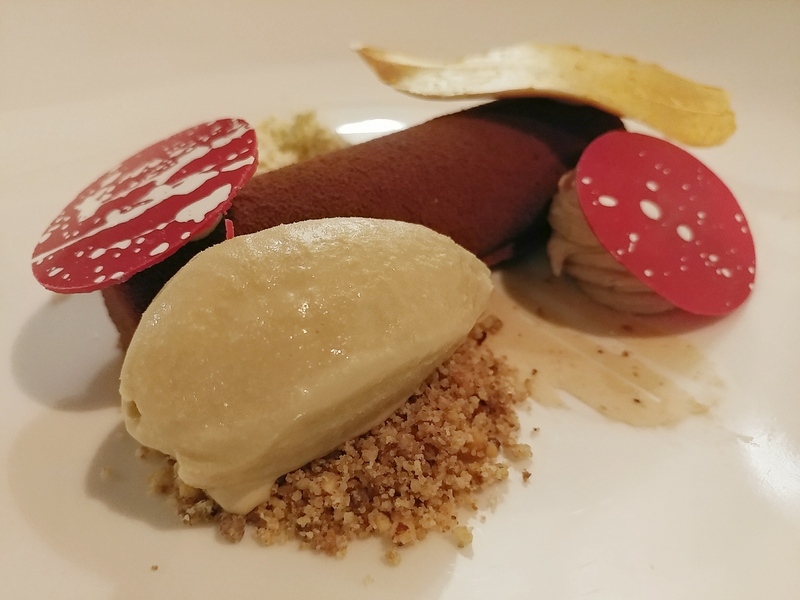 The tart pastry was firmer, buttery, and had a fine crumb without being too brittle. The blueberries and raspberries added their own mellow and brighter flavours. 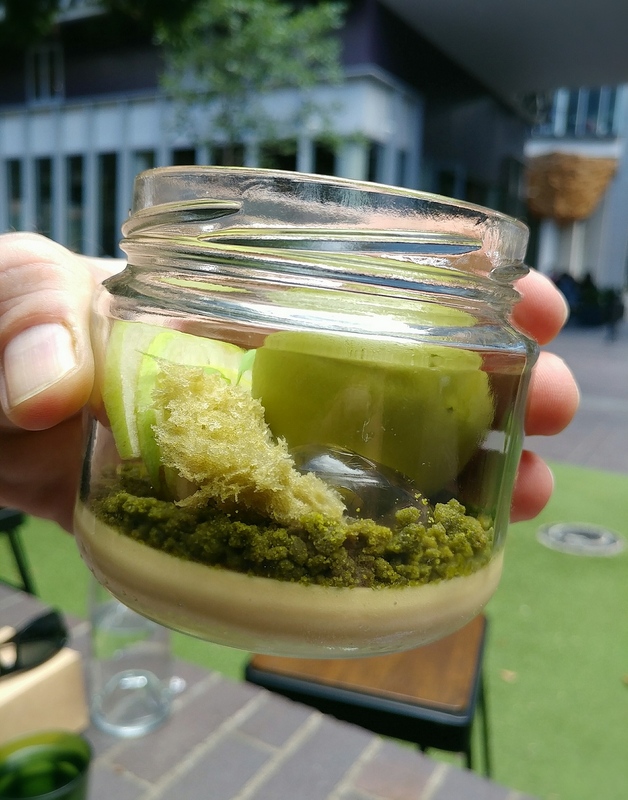 It made a nice dessert treat, without being too sweet. 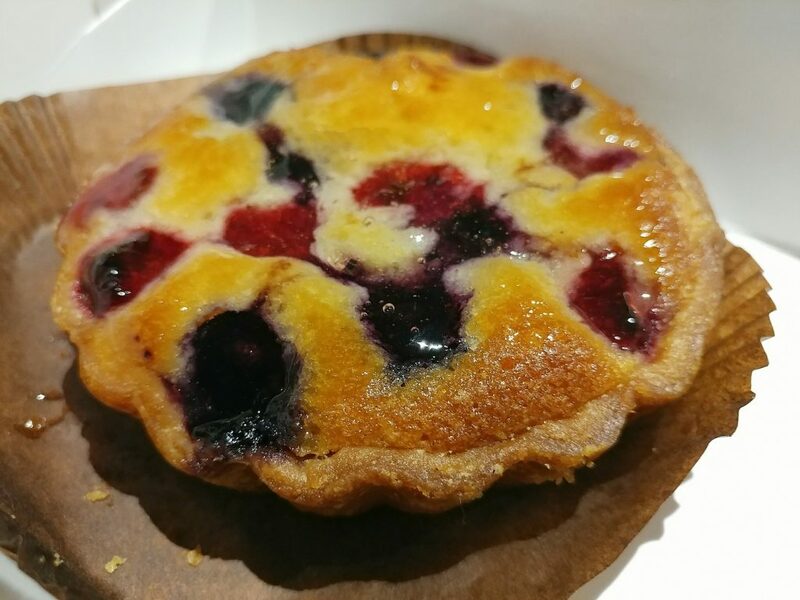 The mixed berry tart, with more than a token amount of berries. 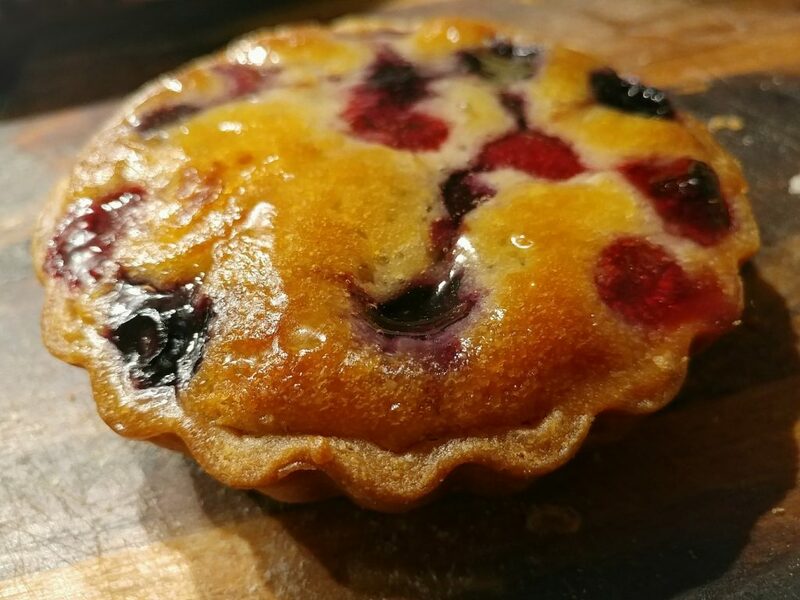 The mixed berry tart from a different angle. Although we didn’t take a picture of the batard, it had a robustly crunchy crust and a chewy interior that was a good balance between substance and airiness, with almost a sourdough springiness. It made very good sandwiches. 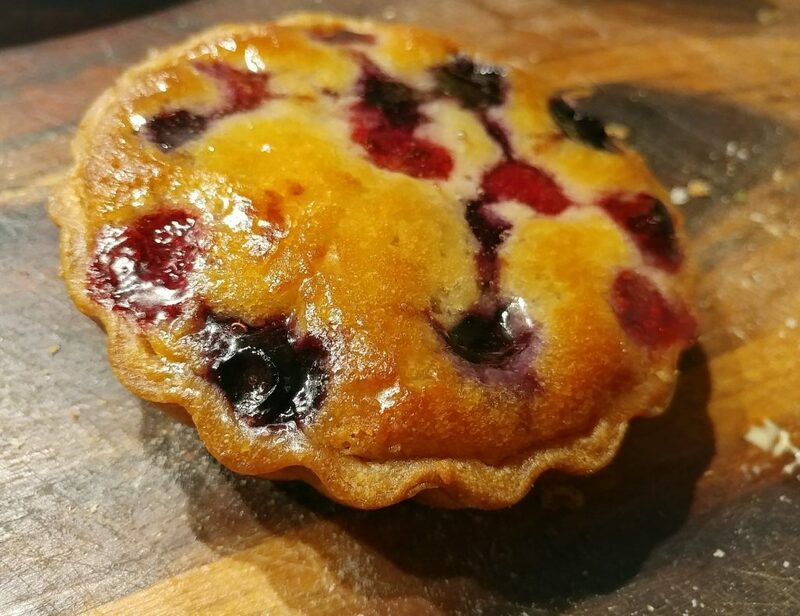 No batard picture, but here is the mixed berry tart again. 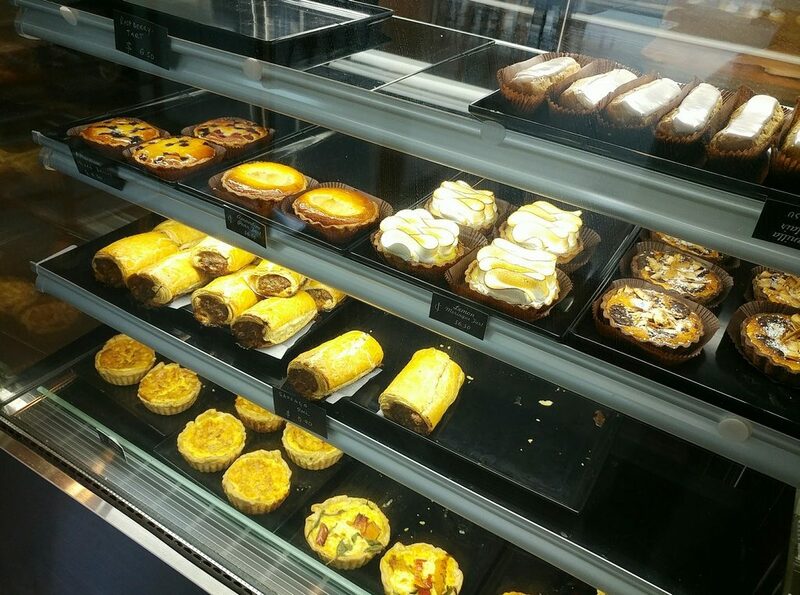 Overall, Christian Jacques Artisan Boulanger makes some rather delicious baked goods. Perhaps Lune has set the bar too high, but we wanted more of the layer by later crisp shatter when biting into the croissants. Some of the croissants might benefit from re-baking just before eating. 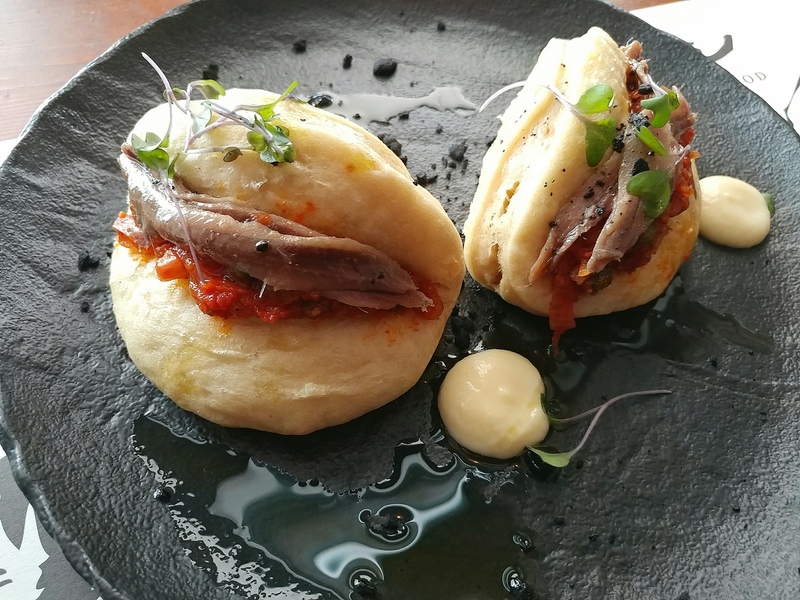 The bread though, we certainly could not fault, and the tart was nicely done. 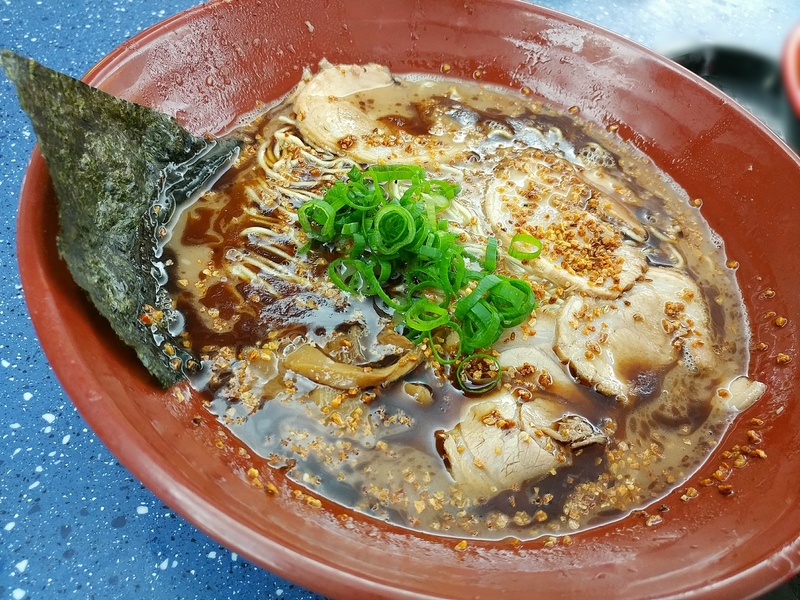 Worth stopping by to try out for yourself. Price point: Croissants $5.50 to $6.50. Tarts $6.50. Bread loaves $4.50 to $7.50.